Featuring an anarkali with gold and silver raw silk bodice. Placket detail in embellished buttons. Neckline is round with opening. Full sleeves in coral georgette with embellished cuffs. Kali is in grey and coral georgette. It comes with unstitched coral fabric. 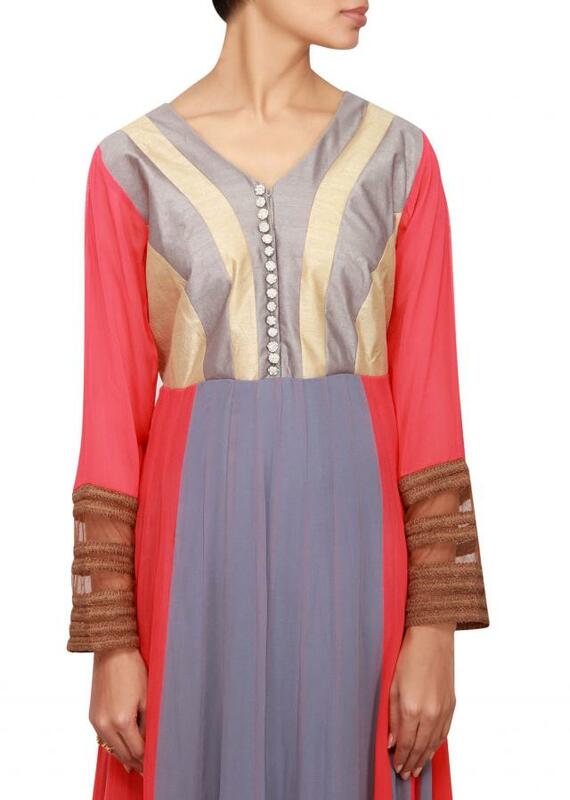 Dupatta is in grey and coral chiffon.